Most people are lost in their desires and ambitions. They believe themselves to be immortal. This book is written to remind everyone that our time here is limited. Also, we cant take anything with us when we leave. We need to know the purpose of this life so that we can live this life the way it is meant to be. 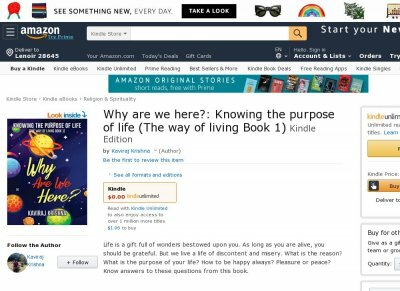 This book will be the first one of the series of books on the way of living life.